An everyday essential. Engineered for smooth effortless writing at an affordable price. 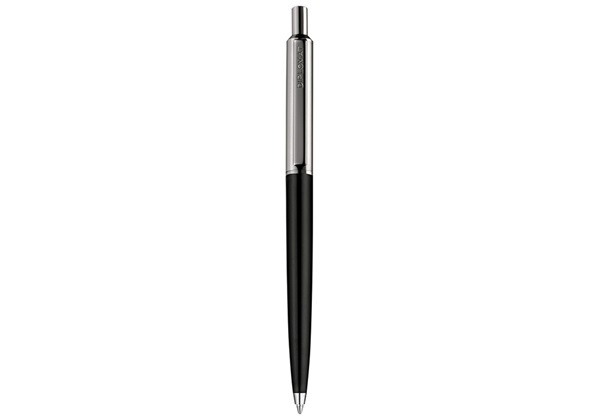 Made in Germany the Diplomat Magnum, Equipment ballpoint pen is smart and makes a fantastic impression. Distinguished among the Diplomat community with simplicity in style and high-quality. A combination of metal and plastic casing with polished chrome fittings. Sleek and curved, free of any unnecessary embellishments with a strong hooded clip and fitted with a blue refill. This affordable pen is a perfect partner for everyday writing. The pen comes packaged in a clear gifted box. 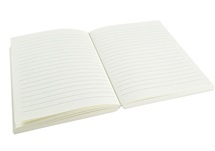 They make the perfect accompaniment to our handmade personalised journals. Presented in two colours: black and blue. Diplomat has been manufactured using traditional methods of craftsmanship since 1922. It is the combination of exceptionally high-quality materials to ensure a perfect balance and impact resistance to all ranges. Diplomat writing instruments prove to stand the test of time and continue to share your stories. Made in Germany, Diplomat brand is well known for its simplicity in style, excellent performance with exceptional high quality materials.